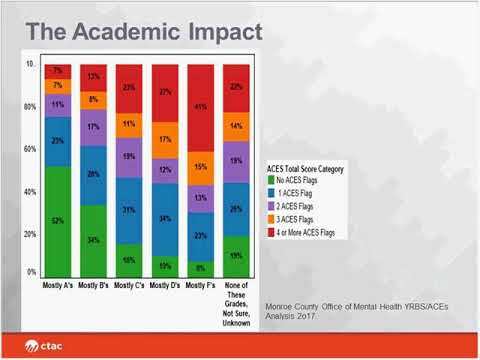 This webinar provided an overview of core aspects of resilience development that fit seamlessly with trauma-responsive practices, social-emotional learning, and positive youth development. Examples were drawn from specific practices that have been used successfully within multi-tiered systems of support in educational settings as well as from an innovative cross-sector community resilience development initiative currently in progress in Monroe County. The benefits of adopting a resilience mindset will reach all youth, but especially those most vulnerable due to their experience of adversity, exposure to trauma and/or toxic stress. Resilience is best understood as successful coping despite exposure to adversity. A thorough understanding of resilience and the intervention strategies that it promotes can: (1) provide guidance to providers about what helps young people recover from or overcome exposure to trauma and toxic stress, (2) provide hope to both providers and recipients of care, and (3) break the cycle of poverty and intergenerational trauma that are at the root of many social, emotional and behavioral problems. Anyone who works with children and youth - teachers, therapists, case managers, child welfare workers and correctional officers - should be aware of the critical importance of the concept of resilience. This is especially true of those people who touch the lives of children and youth exposed to trauma or toxic stress. **Please Note: This webinar has been approved by NYSED and ACE for 1 Continuing Education (CE) contact hour. To apply for CE contact hour, click here. For complete instructions on how to obtain CE contact hours, please refer to this document. Please allow 10-12 business days for the processing of CE contact hours.